The Shipston Forum is working with the many groups in Shipston which support people with dementia to try and improve awareness and understanding of this debilitating disease. We will be running a series of articles during the year to help ensure all those affected know where they can get help, starting with this piece by Dave Hollingworth. Actually, dementia is anything but “funny”. It’s an illness, just as cancer is an illness. Dementia is cruel. Essentially, your brain dies while your body keeps going. The famous author, Terry Pratchett, compared it to a very, very slow car crash, where you watch things failing and falling off, until eventually you go through the windscreen. He died from the disease in 2015, aged just 66. The figures are stark. By 2025, one million people will have a diagnosis of dementia in the UK. This figure is expected to rise to 2 million by 2051. At the moment, one in fourteen of our population aged over 65 have dementia and there is no getting away from it. It is not ‘they’ but, ‘we’ that get dementia - one in 14 of those aged over 65. We need to talk about it. We need to try and understand it, so we can help others in our community who have dementia, and just as importantly, help those loved ones who are caring for them. Caring is hard. We need to support both the carer and the person with dementia. There is no stigma attached to dementia. It is an illness. Those with dementia haven’t gone mad, “they” are not doolally or senile. We need to treat it like any other illness, with compassion and support. While the prospect of a dementia diagnosis can seem very bleak, it is possible to live well with dementia. There is help available to make life easier both for those with the disease and their carers. This is particularly true in Shipston which is a Dementia Friendly Community (DFC). Following an initiative by Dr Sue Pritchard at the surgery, Shipston has been awarded DFC status. The committee have organized training for our local retail community, and 30 members of the town have had virtual reality training to experience what it is like to have dementia. Shipston is lucky to have several organisations that provide activities for people with dementia. Down Memory Lane, a singing group, Active Memory, a discussion group, the Alzheimer’s café, Stour Valley Carers, for those who are caring for someone with dementia, all these meet at least monthly and the dates, venues and times are published in the Forum. If you know anyone who might benefit, please tell them. If you would like someone local to come and talk to your group or organization, please let Alyson Spence (07725892087) or Dave Hollingworth (07970125566) know, and it will be arranged! 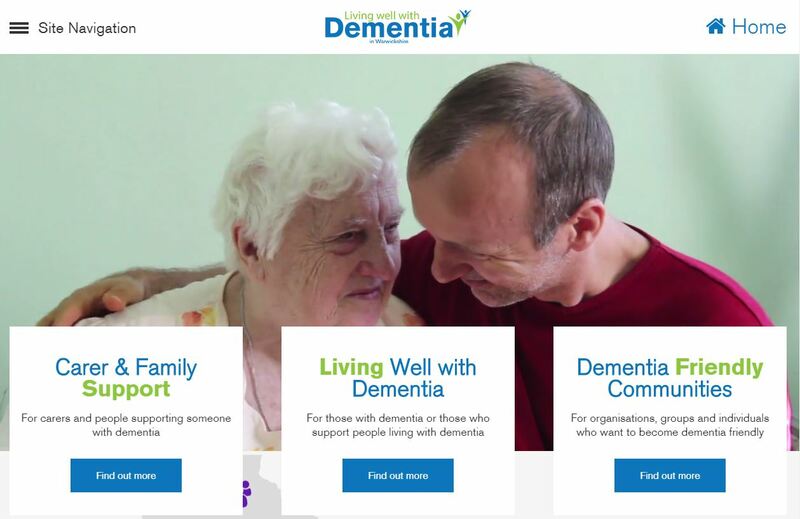 Warwickshire County Council has recently launched a brand new website - www.warwickshire.gov.uk/dementia - which is designed for people with dementia, their carers, family and friends as well as practitioners supporting people with dementia and organisations who would like to know more about becoming dementia friendly. The Alzheimer’s society website (www.alzheimers.org.uk) is also a good resource. and to find out about becoming a Dementia Friend visit www.dementiafriends.org.uk. Planning applications were the focus of the February Town Council meeting once again, with a number of new applications on the agenda. 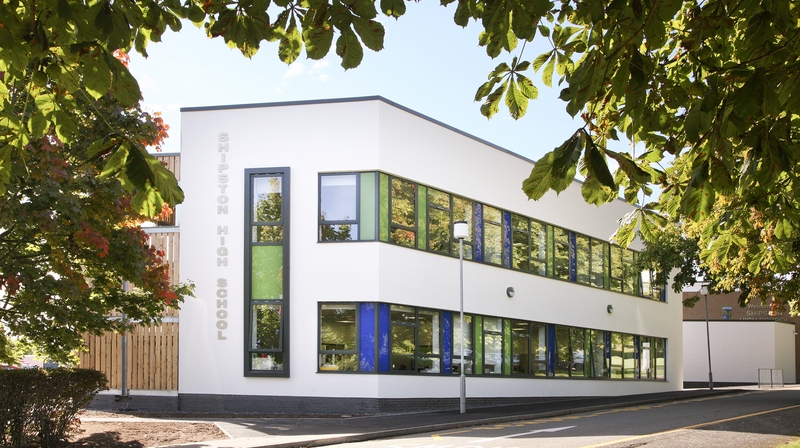 Shipston High School has put in an application for a new two storey block of classrooms to help the school accommodate the increase in pupils coming to the school. The block would be built in a similar style to the recent extension and will provide much-needed additional teaching space. The proposed building would be constructed within the school site, using some of the existing playing field although there would still be adequate space for a full-sized football pitch in that area. Town Councillors supported the application but have requested that the school looks again at the proposed drainage strategy and works with Shipston Area Flood Action Group to minimise the impact of any development. There were also two applications for new business units on Tilemans Lane. These were welcomed by councillors as they should lead to more flexible provision for smaller businesses. However, the town council has strongly objected to proposals to fell trees on the former IMI Norgren site to make way for drainage pipes to be installed. The trees are protected by preservation orders and it would take 30 years for replacement trees to reach a similar height. Councillors have also objected to proposals to change the front elevation of the Assembly Rooms on Church Street, in line with their previous objection to the change of use which would see the property switch from office to residential accommodation. Looking ahead, Barratt Homes has made clear it continues to have an interest in developing the Shoulderway Lane site. In addition, another company is considering options for developing a sizeable housing site on land north of Tilemans Lane, although no formal proposals have been put forward. Shipston Town Council is actively monitoring these developments and further updates will be shared when known. 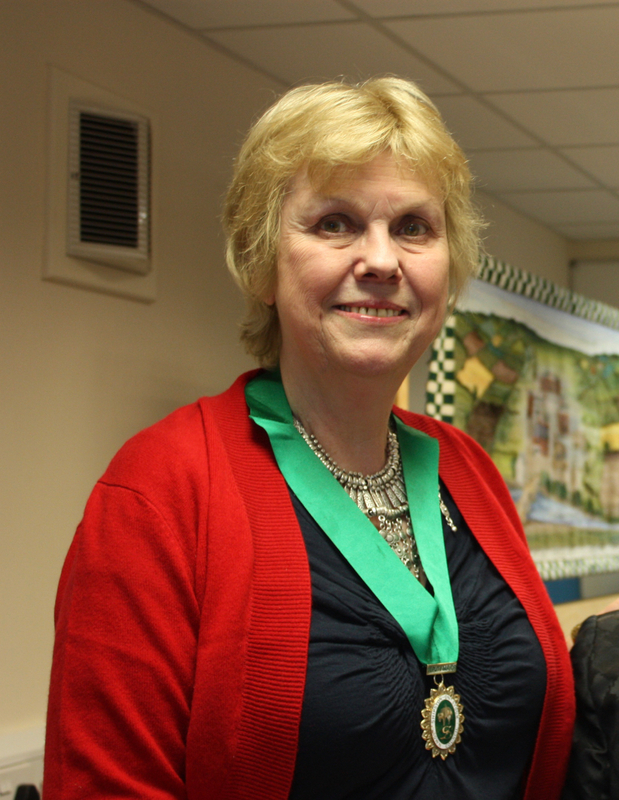 Deputy Mayor Alison Henderson has resigned from her role, due to ill health. Alison has been suffering with cancer for some months. Despite a gruelling treatment regime, she carried on her duties as best she could, having been led to believe she’d be feeling better much more quickly than has proved to be the case. With further treatment ahead, Alison took the decision to resign in order that a new deputy could be appointed in time to allow some tutelage from Ronnie Murphy before being appointed Mayor in May. Alison will remain a town councillor. “Sadly, I didn’t have the opportunity to get involved in many activities, as I started treatment in August. However, I greatly enjoyed giving out the prizes for the various angling competitions at the end of the Fish ‘n’ Frolics weekend. I was delighted to see how many youngsters were involved, some of them having caught fish with weights I’d have thought unimaginable! The town council regretfully accepted Alison’s resignation and she left the meeting to applause from everyone in the room.